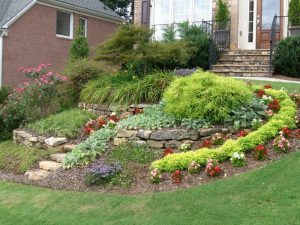 C&M Residential, serving Marietta, GA, is your go-to company for all things lawn care and landscaping. We also offer sinkhole repair, weed control, and can even build custom decks. We have a large portfolio of before and after pictures where we have transformed homes in the Marietta area through building new patios, pergolas, decks, stairs, fences, walkways, and lounge areas. We get this question a lot because we offer so many different services! If you need help with your yard but do not see exactly what you are looking for on this list, feel free to give us a call to discuss your lawn care needs further. We are happy to tailor our landscaping plans to each individual customer.